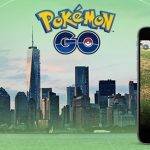 Pokemon GO APK Download For Android & iOS/iPhone [Pokémon] – Pokemon GO has become an internet sensation. 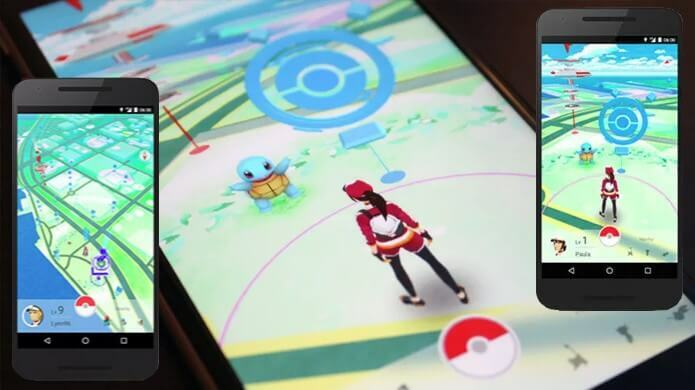 The game developed by Niantic is available on both Android and iOS devices. After reading and hearing about Pokemon GO in each and every conversation, if you are willing to give the game a try, then I am here to help you in downloading the Pokemon GO APK for your device. Before you start downloading Pokemon GO, let us find the reasons for playing this latest game! Why Should I Play Pokemon GO? I don’t need to give you many reasons for trying this game. The popularity of the game speaks for itself. The whole internet has gone crazy for this game. What’s so special about the game? Pokemon GO allows you to discover and catch Pokemon. Travel in your neighborhood in search of Pokemon and once you find a Pokemon, take an aim and throw your Poke ball towards the Pokemon to capture it. One needs to turn on GPS to play the game. At the beginning of the game, you will be allowed to customize your trainer. As the game progress, you will be able to capture even powerful Pokemon. The only thing that you need to do to go higher in the game is exploring your surrounding with your smartphone in hand. PokeStops are also available which will allow you catch exclusive Pokemon. You can evolve Pokemon in Pokemon GO. Things are pretty interesting in the world of Pokemon GO, if you want to capture a water-based Pokemon, then you need to go to a water environment. Show your Pokemon collection to the world. Just remember that more than five crores people are playing this game, so a tough competition is ahead of you! The popularity of Pokemon GO is surprising even for the developers! The good news is that Pokemon GO is available in Google Play Store, but the sad news is that, it is not available in all the countries. The game is available in U.S, U.K, Germany, Australia and New Zealand. This means that if you live in a country where the game isn’t available, you have to download the APK file of the game from a third party website to enjoy it. Check the necessary information related to Pokemon GO before you move ahead to download the game. The latest version of the game available is 0.29.2 which was last updated on 13 July 2016. The size of the app is 58MB. The game can be played on an Android device with an Android version 4.4 and higher. 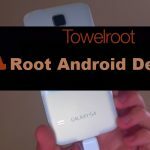 In-app products are available in the game, If your Android device runs on version 4.4 and up, you can download and install the game by following the steps explained below. Step 1: Open ‘Settings’ in your smartphone and check the ‘Security’ section. Step 2: Toggle on the ‘Unknown Sources’ option where the statement ‘Allow installation of apps from sources other than the Play Store’ is written. Step 3: Download Pokemon GO APK from a reliable third party website. A warning message will appear on the screen, click on ‘OK’ to download the game. Step 4: Now click on the downloaded file. A notification message will appear on the screen that will ask whether you want to install the app, click ‘Okay’ to install the game. Congrats! Now Pokemon GO is installed on your Android device, and now all you need to do is play the game. Time for you to collect Pokemon. If you live in a country where Pokemon GO can be directly downloaded from Google Play Store, you don’t need to follow the above steps. Simply open your Google Play Store and search for ‘Pokemon GO’. 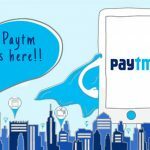 Download and install the app directly from there. And if you are downloading the app from a third party website, make sure that the file is virus free. If you own an iPhone or any other iPhone device, you will have to download the Pokemon GO game through a different process which is explained thoroughly in the steps written below. Step 1: From the ‘Settings’ of your iOS device, click on ‘Apple ID’ and then sign out from your account. Step 2: Now click on ‘General’ and choose ‘Language & Religion’. Now set your location of the region you stay in. Step 3: Now open the ‘Apple App Store’ and search for ‘Pokemon GO’. Step 4: Now download and install the game on your device. And now you can play the game on your iOS/ iPhone device. If you still unable to download the Pokemon GO on your iOS device, then create a new AppleID with a new email address. When you arrive in the billing section, select ‘None’. Now download a free app using this ID, enter any address that is valid. Now you can move ahead to download Pokemon GO without any problem. If you still face any problem, feel free to contact us. Now it’s time for you to move out of your home. 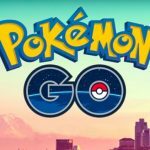 Start exploring your neighborhood and while enjoying the newly found location, catch Pokemon to increase your collection of Pokemon in Pokemon GO! The game is like a thin thread that connects the real world and the virtual, and that’s what makes the game special. Now that the July month has come, you can also have Pokemon GO Plus, which is a portable device that allows the users to enjoy the game in a much better way. 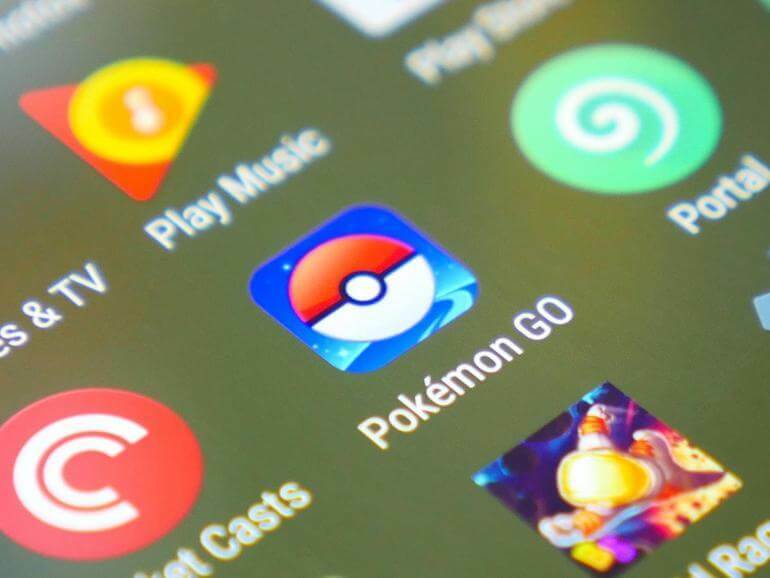 Pokemon GO Plus will remain connected to your smartphone via Bluetooth, and every Pokemon related information will be notified in this portable device. Though Pokemon GO Plus will cost you few bucks, the game of Pokemon GO is free for you. Share the app with your friends and start an adventure. Don’t forget to share your experience with us.